There are currently 13 users and 3656 guests online. 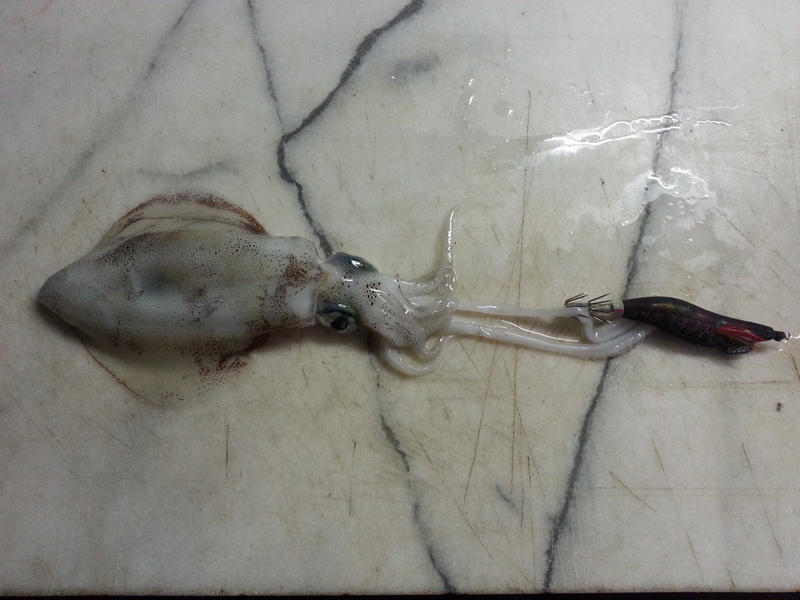 G'day all.Went out on Friday morning off Penguin Island via Safety bay.Took the g/f out for her first paddle on her hobie quest 13.As she was getting used to the feeling on the water I decided to chuck a squid jig off the PA14.Well bugger me second cast and I was on.It was only a 15 cm model but hey have to start off somewhere.Spose they can only get bigger from here...lets hope.Anywho was nice to get that monkey off my back.From there we went off P.I. and bagged out on Tommy Ruff from 15 cm - 28 cm.Even landed a nice flounder which I released of 25 cm.All in all was an excellent day out on the yaks. G'day Plug...yeah mate they are a lot of fun and yes the bay does look very good for holding squid.excellent coverage of sea grass.will have to dedicate some more time to squiding there in the future.Do you fish/squid from a yak ? I also fish this area a fair bit, so will keep an eye out for fello yakkers. Did you fish behind Penguin Island, like the ocean side? Hi Shik...No mate we didn't go around the back as it was g/f first time on a yak and she wasn't too confident yet.There was a bloke catching sambo's out the back and she will fish out wider the more she goes out. There's good ground for squidding South West of the Donald Drive (Safety Bay) beach launching ramp too - it's quite shallow (2-3m) for a good couple of hundred metres out before you hit the drop off where it drops down like a cliff to about 20m - big bitey territory - so it's a good area for the GF if you stay in close. As you paddle West you'll hit a shallow sand bank - just squid that area between the sand bank and the ramp and you'll find a few nice patches. You can drive your vehicle down the ramp and put your yak straight on the beach and then park up in the carpark - always a few yakkers about. G'day Red Dog...Thanks for the input mate .Usually launch from the beach at the west side of safety bay yacht club just before Penguin Island sand bar.Great footage of the area from the raised go pro pole.